FUSION Application Software is flexible, easy to use and has a range of features to enhance security, improve productivity and contain costs. FUSION offers live monitoring and control of the access control system in real time. It shows the status of all site controllers, door controllers, alarms, input and output ports. User entry and exits are recorded as they occur with the user's photo and credentials. The administrator can control door alarms, lock or unlock doors, add or delete users and assign access privileges. Borer FUSION card and fingerprint readers and controllers are intelligent. When the network connection to the central database is broken, readers make access decisions at the point of entry. Power over Ethernet (PoE) and TCP/IP significantly reduces the quantity of equipment deployed and eliminates local power supplies, batteries, mains power outlets, control panels and wall boxes. A large access control system often has complex sets of access privileges demanding significant administrative effort to manage. FUSION centrally controls and manages all aspects of access control and related functions within any type of organisation, including doors, turnstiles, elevators, visitor and attendance management, and many others, with CCTV integration. The video shows the FUSION Tru-ID Management Software recording all movement through the turnstile in real time. FUSION is supplied without cost for ONE workstation/NIM. Each additional workstation/NIM requires the purchase of a FUSION License. FUSION is fully scalable and is suitable for any sized business, with additional NIMs and Databases configured for multi-location sites. FUSION provides a network-based command and control application made up of a database, application software and a network of connected field-located devices. Devices in the field include card and biometric access and attendance readers, CCTV cameras, mobile devices and switches with sensors that record, monitor and report. Rules are established that enable devices to work together. For instance, a PTZ CCTV camera can be set to pan to a door and start recording whenever the door is opened or enters an alarm state. FUSION runs in the Microsoft® Server and Workstation environments. For large users, FUSION is mostly hosted on a Server (or Dual Servers for hot standby applications) with connections to one or more workstation clients and site-based command or control units called Network Interface Modules (NIMs). For added resilience and for protection from network faults and failures, large campuses and organisations with many satellite sites or branches often locate NIMs on the sites they control. The FUSION Engine, Bio Server and NIMs run under the Windows® Operating System as background tasks, called 'Windows® Services'. These launch automatically when Windows® starts up. The FUSION Engine is the interface between field devices and the central database. It forwards data and application rules and directives to devices in the field and receives events, alarms and transactions from them, which are written to the database. The Bio Server is used by systems using biometric fingerprint identification and authentication. It holds a library of fingerprint templates. Templates are forwarded to the biometric 'fingerprint-based' fingerprint readers and door controllers. The Network Interface Module (NIM) holds a sub-set of the database held on the central server relating to the users, access readers, etc., installed on the site or sites it controls. A NIM can be configured as a set of virtual NIMs running on a Central Server, with each virtual NIM in control of one or more locations. For greater resilience in the event of network or communications failure, a single black box NIM controller can be installed at each satellite location. A NIM supports an unlimited number of channels. A channel is a TCP/IP network connection to between one and sixteen access doors, clocking terminals or alarm panels. The number of channels is only limited by the processing power of the NIMs host processor. FUSION Applications provides the user interface to a FUSION System, which enables system operators and administrators to make changes to the database - adding new users, altering or deleting existing user records, reporting alarms, producing reports and monitoring field devices such as access readers, door controllers, alarm panels, CCTV camera, etc. All FUSION Apps are fully integrated with CCTV with the ability to show all events and alarms on graphical floor plans. access roles to allocate access privileges according to the user's job function or role (e.g. only electricians have access to electrical switch rooms). Access Profiles can be set within FUSION allowing access only to predefined areas for which specific access policies are required. The user’s Access Profile controls where (access zone) and when (time) that individual is authorised to be at any time, and what credentials (fingerprint or smart card) are required for access. This is a pre-defined area assigned to a worker as the regular work place during specified work and break hours. Users may be limited to the Home Zone, restricting access to other areas outside of the Home Zone area. Additional access privileges can be assigned to a user for a specific area which needs to be visited on a regular basis, without increasing that user's overall access privileges. A user must reach locations in a particular sequence which is defined by their access permissions, and cannot access devices which are not part of his route or which are out of sequence. This prevents users from wandering intentionally or unknowingly. This is especially useful for sensitive areas where contract workers need to reach their place of work along a defined route, for example ports, laboratories, data centres. 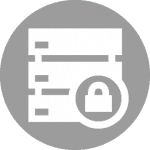 Privileged Access gives a user the highest level of access (such as Directors and senior people in the organisation), allowing access to any controlled area without checking access rights. Designated individuals are assigned Keyholder Access and are then the First-In User permitted to enter the premises before other users are allowed in. A user's exit must be registered on the system before FUSION will allow that same card re-entry into the specified area, preventing users from sharing access cards. FUSION Attendance Management supports a full set of attendance recording and reporting arrangements including flexible working, fixed and shift working and job sharing. FUSION records and reports on normal attendance, overtime worked, as well as absence and tardy attendance. FUSION Web for Attendance Management is an intranet based self-service option for staff working flexitime that allows members of staff to view and manage their own time accounts, significantly reducing the administrative overheads. Roll Call and Muster Station Reporting is a web based extension to the FUSION Access Control System. It allows building managers to locate members of staff and visitors on site following a building evacuation due to a fire alarm or other emergency. Proximity and NFC based Smart Cards are used to record the presence and location of people on site. Fixed terminals connect to the central database via WiFi or cable networks. Muster point readers are fitted at assembly points where personnel present their ID cards to the fixed terminals, mobile devices or tablets at the designated muster points, and a report is generated showing the status of all personnel, on site, mustered or missing. FUSION Visitor Management enables authorised staff to pre-register visitors via a simple web application on the intranet. This enables visitors to be vetted prior to the visit with improved security, faster through-put and a reduction in congestion at the visitor reception. Unexpected visitors can be booked in on arrival at reception. FUSION maintains a log of all visitor activity, including frequent and return visitors. FUSION ID Badge Design for designing and producing professional looking, low cost ID Badges. It is flexible and can be used from a single site to an enterprise wide solution covering many sites connected via the user's own IP network. Multi-site support enables ID photographs to be captured and badges printed from any number of locations, all sharing the same database. Choice of image capture tools, including Digital Camera, CCTV camera or Live Video. FUSION Locker Management enables you to assign a locker to one or more individuals on a short-term or permanent access basis. Access is gained by fingerprint or smart card at a terminal, where the locker assignment is displayed on the screen. Dynamic locker allocation automatically assigns the next available locker to an individual on entering the premises, based on fingerprint or card identity authentication. The current live database and the last known good database downloaded are held at the reader which will revert to the last known good database should the current database get corrupted because of a network failure while a database download is in progress. Each bridge can support two IP addresses so that in the event of a network fault, data to the server can be automatically re-routed via a different network path. Enables each user to register a combination of up to ten fingerprint templates. FUSION does not use third party converters to achieve TCP/IP connectivity for ease of installation and commissioning. Unlike systems which use polled communications, FUSION field devices are event driven; data is only transmitted in response to a real life events, thereby keeping network traffic to a minimum. Includes card printing, the issue of encryption keys and card encoding without reference to the manufacturer or installer. Integrated with visitor management, attendance recording, photo-ID card production all running on the same database and sharing the same network infrastructure. Data is read directly from the smart card into the reader controller for transmittal via the network without sending data across insecure interfaces such as Wiegand, clock and data, RS485, etc. Controls the energy delivered to every door limiting the power demands of electric releases making the most efficient use of the available energy. With only 17 cable ends to terminate, an access door can be installed and commissioned in 2 hours. All field devices are ‘plug and play’, automatically logging on to the network and signing on to the server database as soon as they are connected allowing a reader to be commissioned in less than 5 minutes. Remote diagnostic enables the administrator to remotely reprogram and reset equipment over the LAN reducing the number of site maintenance visits. Including Magnetic Locks/Maglocks and Electric Strikes. Mobile data capture option for student attendance, identity verification, lone worker monitoring, guard tour, etc.